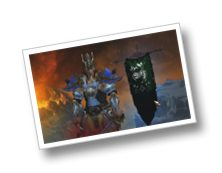 Other than the WoW stuff, I’ve been playing Diablo 3 quite a bit still. My Demon Hunter is in Inferno but I haven’t really spent TOO much time farming. I’m still stuck farming Act I unfortunately. I’ve made it about 1/2 way through Act II but it just gets pretty crazy at that point. 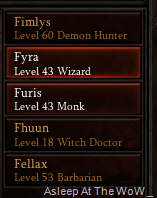 I’ve been spending more time leveling my Barbarian, Monk and Wizard with the Witch Doctor trailing behind quite a bit. The Barbarian is on Hell and is level 53. 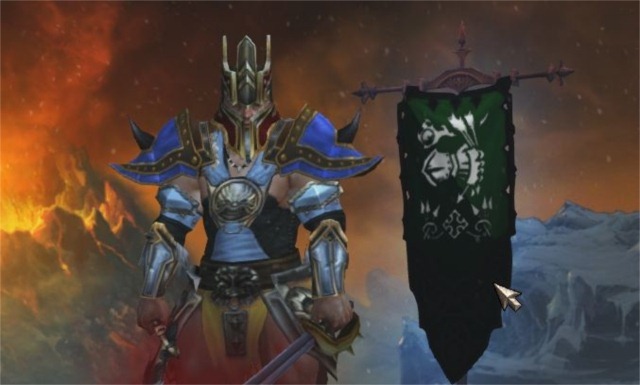 The Monk and Wizard are both level 43 and in Nightmare Act III. The Witch Doctor is level 18..
I’ve been playing lots of other games too. Steam is having a sale, so I’ve picked up a couple of cheap games on that and I’ve even played a couple! I also found a really fun RPG on PSN called Rainbow Moon that I’ve been playing quite a bit and also I’ve gone back to playing a bit of Civilization V with it’s new “expansion” Gods and Kings and even Might & Magic Heroes VI a little. The Steam sale has greatly reduced my WoW time of late as well! Bought a few things I’ve been dying to play. Haha. Yeah, he probably would.